The explosion of outrage over who gets to wear a Chinese dress is a perfect illustration of concern for victims gone wrong. There are quite legitimate reasons to seek redress (pun intended!) of the oppression, victimization and marginalization of Asian-Americans in our nation’s history. The prom dress polarization, however, does absolutely nothing to address (get it?) these concerns. Like all shouting matches, the whole thing will blow over without anyone actually being heard or any racial oppression ending. 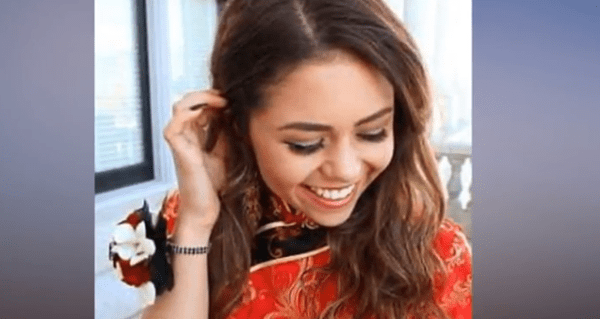 Utah high school senior Keziah Daum chose to wear a Chinese qipao to prom, which unleashed a torrent of accusations of cultural appropriation, which was met with an equally torrential rush of defensive counter-accusations. No one seems to disagree that appropriation, taking something that doesn’t belong to you without asking permission, is bad. I think everyone would agree that it’s especially bad to take things from people you have been taking things from for a long time, important things like their dignity, freedom, and civil rights. Many Asian-American women were struck by the injustice of an image of a white girl feeling oh so pretty in a dress they would have been ridiculed for wearing. “Dress, act, talk American or go home” is still a message too many non-white Americans feel today, even though they are already home. Unfortunately, what happens with an online image is that we easily lose sight of the truth that the person in the image is not an object but a person. Keziah is not a symbol, she is an eighteen-year-old girl. Ironically, those who are accusing her are objectifying, dehumanizing, and bullying her in the name of defending the rights of Asian-Americans who have been objectified, dehumanized, bullied and worse. And those defending Keziah are objectifying Asian-Americans to defend Keziah against being objectified. When we engage in outrage, our mouths gape open, our ears close up, and we become grotesque mirror images of one another. Online outrage creates more victims than it protects. Because outrage feeds our sense of ourselves as good people, of being on the right side of a cause. Oddly, outrage also short circuits our search for the truth. In this case, the assumption behind the accusations of appropriation is that cultures are pure and unchanging over time. Which if true would make the qipao into an unchanging symbol of a never-changing Chinese identity that is defiled when not worn properly by the right people. But it took less than five minutes for me to discover that the qipao has a history of cultural appropriation, too! The style Keziah likes so much dates to the 1920s and was an update on a more ancient version that was appropriated by the majority Han from the Manchus, an ethnic minority in China. Now this is getting complicated! But it points to the deeper truth that there is no pure, pristine symbol from any culture that doesn’t have its own complicated history. Human cultures are mashups of influences and appropriations from whoever we encounter on our journey through history. When we focus on taking sides, we stop listening to one another and stop seeking the truth. Outrage is the worst sort of political correctness, entitling us to nurse our own wounds while we wound one another. Whether you defended or accused Keziah, if you engaged in online outrage I doubt you listened respectfully to those on the other side. If you tweeted and retweeted concern for the Asian-American experience, it’s safe to say you did nothing to end racism or heal wounds. And if you defended Keziah’s right to wear whatever she wanted to prom, it’s safe to say you have walled yourself off from the lived reality of your fellow Americans. Sometimes wearing a qipao to prom is nothing more than wearing a qipao to prom, and sometimes it’s a whole lot more. But outrage is nothing more than striking the pose of goodness. To be truly good we need to close our mouths, open our ears, and spend a little more time searching for the truth.